Which came first, the Carnegie or the Twain? Source unknown (to me, so far). Put all your eggs in the one basket and --- WATCH THAT BASKET. Familiar Quotations , John Bartlett, Thirteenth Edition, 1955. Having only one reference, I believed it. Since I've put my page up one the web it has come to my attention that many people attribute the quip to Andrew Carnegie. As Twain and Carnegie were astute, intelligent, and literate contemporaries, the origin of the phrase could be with either, or both of them could be using a phrase from an earlier work by someone else. Mark Twain (Samuel Langhorne Clemens) [1835-1910] used the phrase in Pudd'nhead Wilson , Chapter 15. From a facsimile edition on the web, we find a copyright of 1894 (with 1893 mentioned in the introductory text), and the quote on page 197. Andrew Carnegie [1837-1919] used the phrase in the essay How to Succeed in Life . Copies of the essay on the web (one, two) are from 1903, but they say From The Pittsburg Bulletin, 19 December 1903. Reprinted from the New York Tribune.. I have not yet found any reference to the date of publication in the New York Tribune . A page entitled Facts about Andrew Carnegie says the phrase was from Carnegie and "Later borrowed by Mark Twain". I enquired to the owner of the site and was told the information comes from the biography "Andrew Carnegie" by Joseph Frazier Wall (University of Pittsburg Press, 1989, page 197). I found a library with two editions of The Home Book of Quotations: Classical and Modern edited by Burton Stevenson. 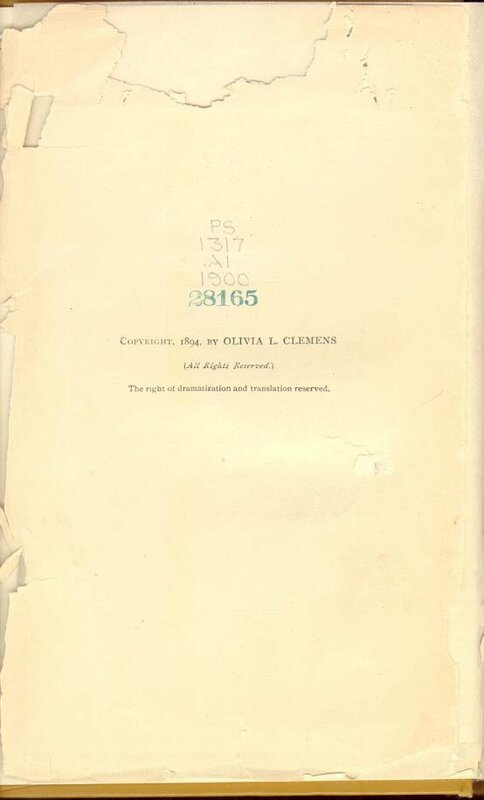 The 1934 edition, on page 532, gives a citation of `Andrew Carnegie. (Hendrick, Life.)' for the quotation. 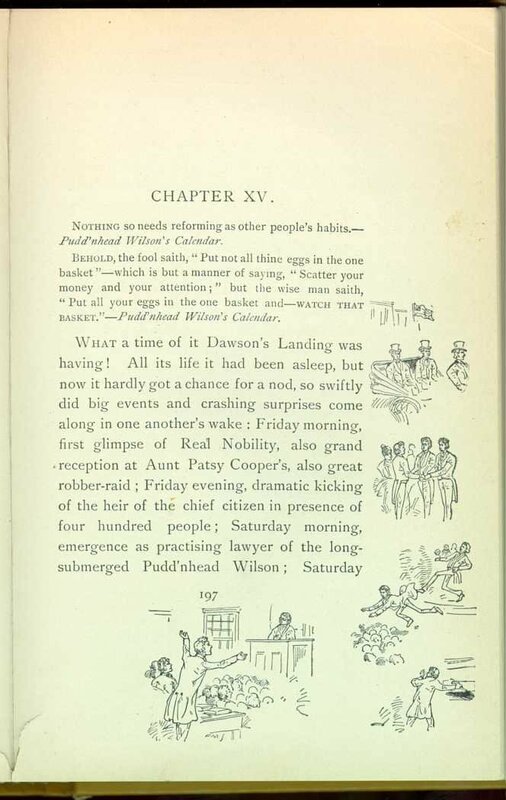 In the Tenth edition, published in 1967, page 532 looks identical except the citation for the quotation is `Mark Twain, Pudd'n head Wilsons Calendar.)'. Something happened between 1934 and 1967 to cause Burton Stevenson to change the citation -- I hope it was careful research. The actual change probably happened earlier, as The Home Book of Proverbs, Maxims and Familiar Phrases edited by Burton Stevenson (1948) credits Mark Twain with the quotation on page 672. I've just started this research. I lean toward Twain because of the earlier citation, the change by Burton Stevenson, and because Twain was in the quip-writing business, but I would like to spend more time looking into this. If you have any earlier citations by Carnegie (or Twain, or anyone), or any other information on the origin of the phrase `... watch that basket', please so I can improve to this page.